Holidays mean fancy recipes you only make a few times a year, fun desserts, family and friends, parties and leftovers! Combine all of those and you have a great dinner along with a perfect hostess gift. I eat gluten free but no one else in my family does, so when I make food it can’t taste like it’s “gluten free”. 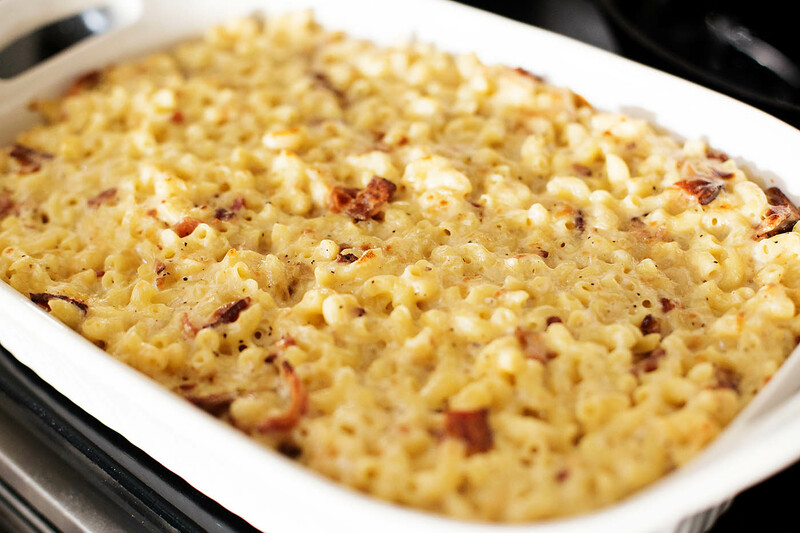 Every year for Thanksgiving or Christmas I make a batch of this amazing 5 cheese gluten free macaroni and cheese (with bacon and caramelized onions) and it gets eaten up. 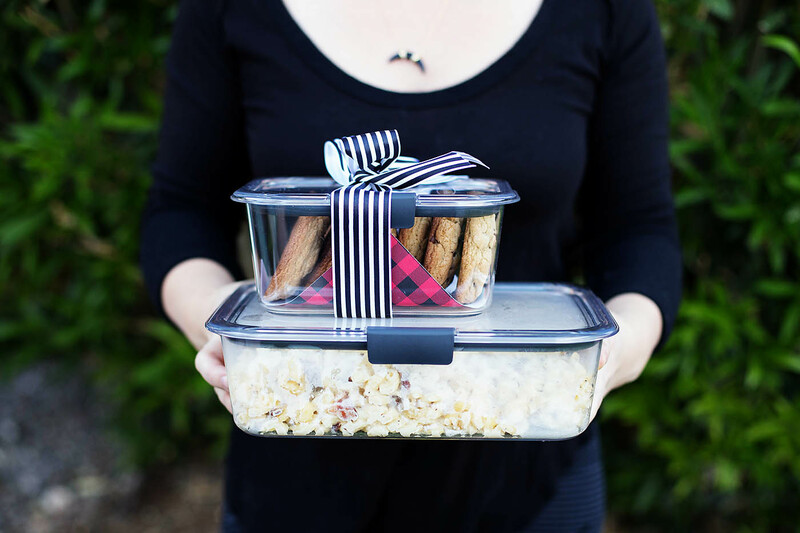 I also love bringing my gluten free chocolate chip cookies and since they also get eaten up in no time, I try to bring some extras just for the host/hostess. While picking up ingredients for a recent party at our Fry’s Marketplace I spotted this display for Rubbermaid Brilliance containers ( you can get $2 off an individual Brilliance container and $4 off a Brilliance set through Ibotta as a limited time offer) and remembered seeing them on a commercial recently. I love how clear and pretty they are and REALLY love that they have a leak-proof airtight seal. Yep, you can put soup in them and it won’t get all over the car making it smell like zuppa toscana for a week (Not that I would know what that’s like or anything). They’re also stain and odor resistant which is also a pet peeve of mine with food storage. Anyway, I picked up a few new pieces to bring food along AND some to leave as gifts (with treats in them of course). 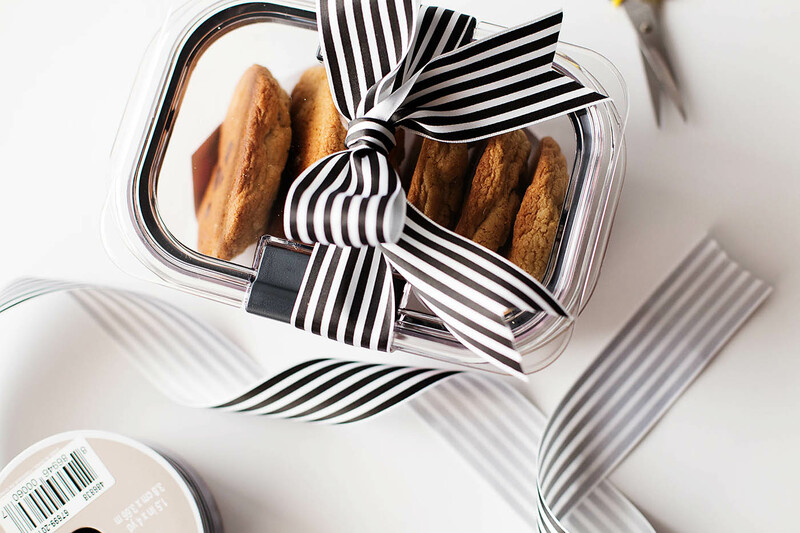 This is such a simple and really useful hostess gift you can leave for the holidays. I also love to keep extras to send home with people if they’re taking leftovers home. It’s an easy unexpected gift you can give all year! 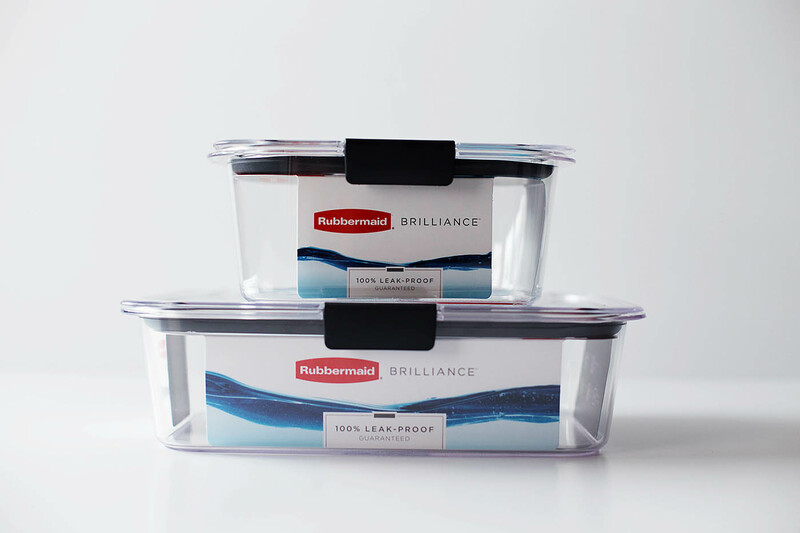 I need to go pick up some more Rubbermaid Brilliance containers because I’m really loving how beautiful and useful they are. The boys can even use them in the microwave just by popping open the latches since they have built-in vents. Back to the fancy mac and cheese. This recipe is adapted from The Pioneer Woman. We adjusted it a bit to meet our needs and be gluten free. I actually usually have everything on hand but the 5 different cheeses so I plan to make this when I’m planning on making a cheese plate as well. This way I know I won’t leave cheese in the fridge uneaten. It’s simple to make but I recommend prepping everything ahead of time to make it even easier. Shred the cheeses, chop the onions etc. When making a gluten free roux I usually just use a gluten free flour blend I have on hand (2 parts white rice flour, 2/3 part potato starch, 1/3 part tapioca starch) but we’ve also just used plain rice flour or any other blend we might have. It’s ok if it doesn’t get super thick, you can let it sit a bit longer in the oven or after it cooks and the pasta will continue to soak up some of the moisture. 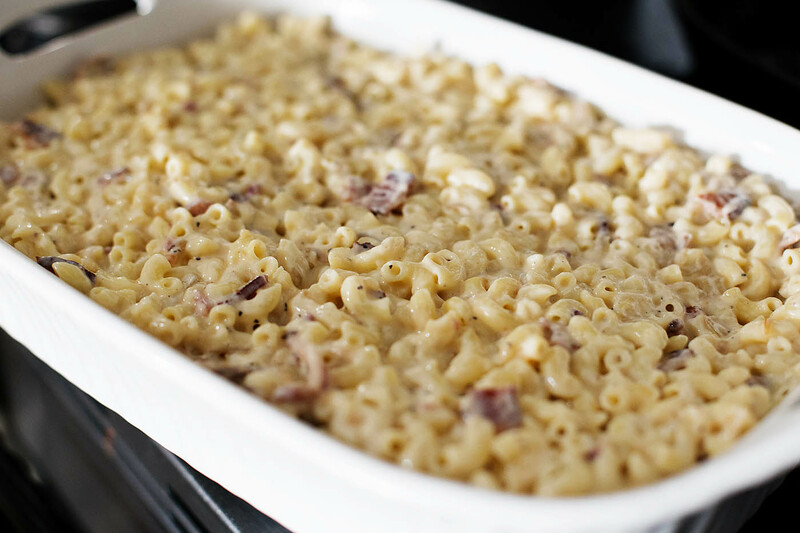 A delicious meal or side dish perfect for the holidays. Cook macaroni for half of the instructed time (for example mine said to cook for 7 minutes but I boiled it for 4). Drain and set aside. Fry bacon and drain on a paper towel. Reserve a tbsp of the grease. Melt 4 tablespoons butter in a skillet and sauce onions over medium-low heat for 10 to 12 minutes, or until golden brown and soft. The onions will shrink quite a bit so if it looks like a lot, don't worry! In a separate pot, melt 4 more tablespoons of butter and 1 tablespoon of the reserved bacon grease. Sprinkle in gluten free flour and whisk to combine. Cook, stirring constantly, over medium heat for 1 minute. Pour in milk and half & half, then cook for 3 to 5 minutes or until thick. Reduce heat to low. Add salt & pepper to taste. I almost always need more salt than I think. Temper the egg yolks by pouring ¼ cup of the hot milk mixture into the bowl with the egg yolks. Pour egg mixture into sauce and cook for another minute. Add all the cheeses and stir until melted. Add onions and bacon and stir. Add cooked macaroni and stir to coat. Pour into a baking dish and bake for 15 to 20 minutes or until sizzling and hot. If it's sizzling but not browning you can broil it for a few minutes to crisp up the top. 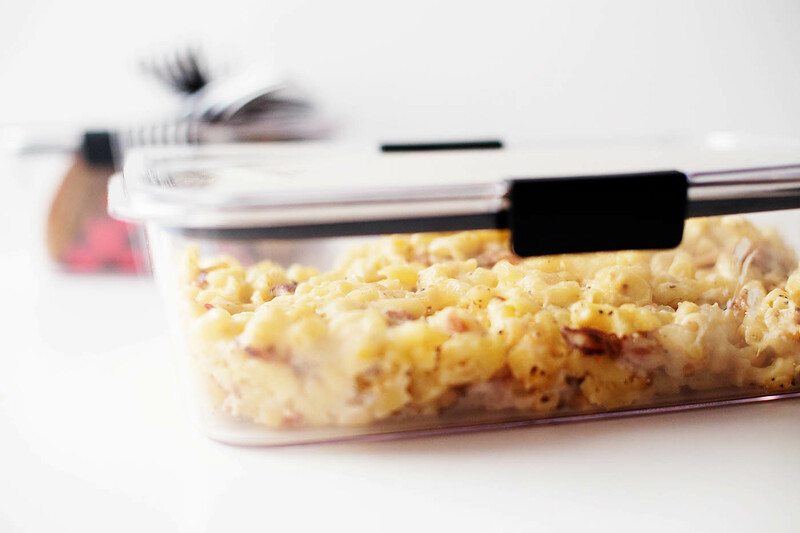 It’s best eaten right after it’s done cooking but you can also freeze and re-heat. 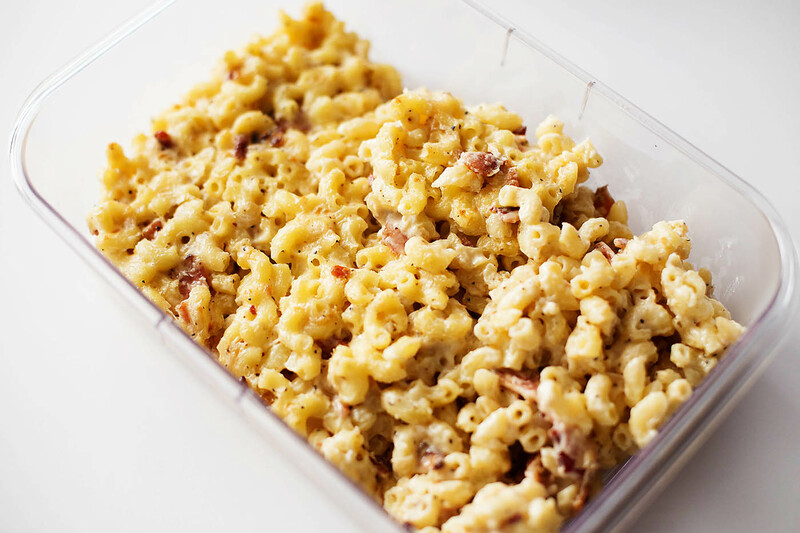 If you’re planning on doing this I’d reduce the macaroni a bit. 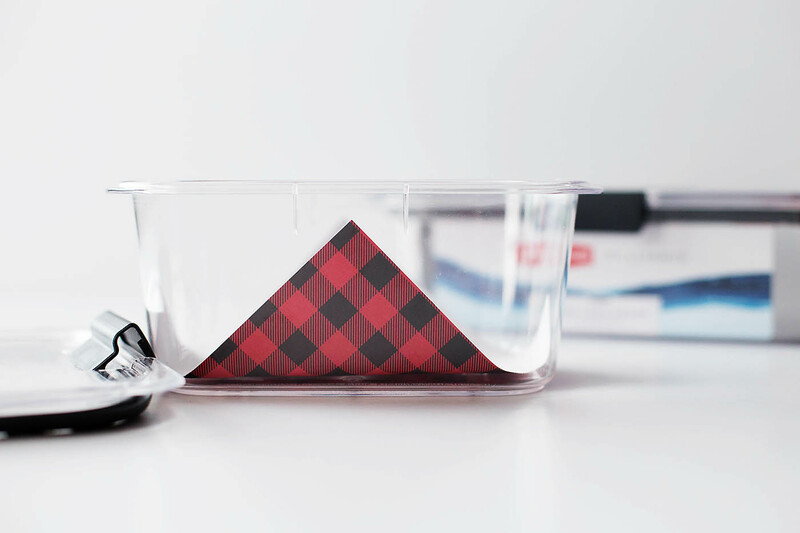 When taking this to a party I’ll re-package it into the Rubbermaid Brilliance containers so that I don’t have the bulk and weight of a baking dish. Plus, taking multiple containers is easy since they stack so nicely. 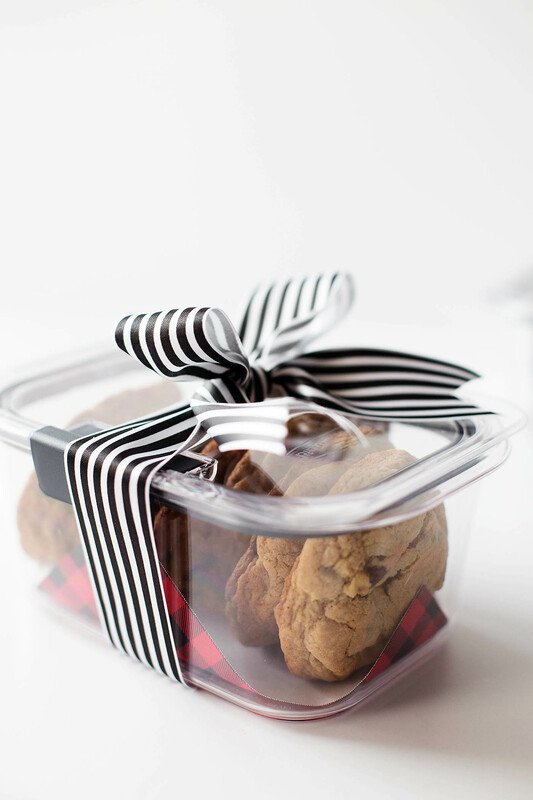 For the hostess gift I’ll package up some cookies in a smaller container. 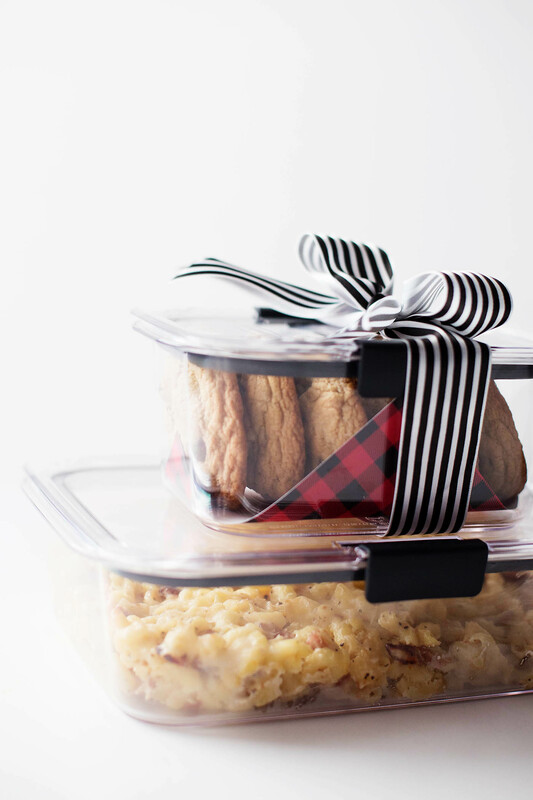 Some food safe paper and wax paper makes it look a little nicer and a bow is the perfect touch. So cute right?! And you don’t even have to make an extra trip to the store for a gift. Do you have a “fancy” recipe you only make around the holidays? This one isn’t difficult but it is reserved as a special meal in this house! I love both of those that you make!! 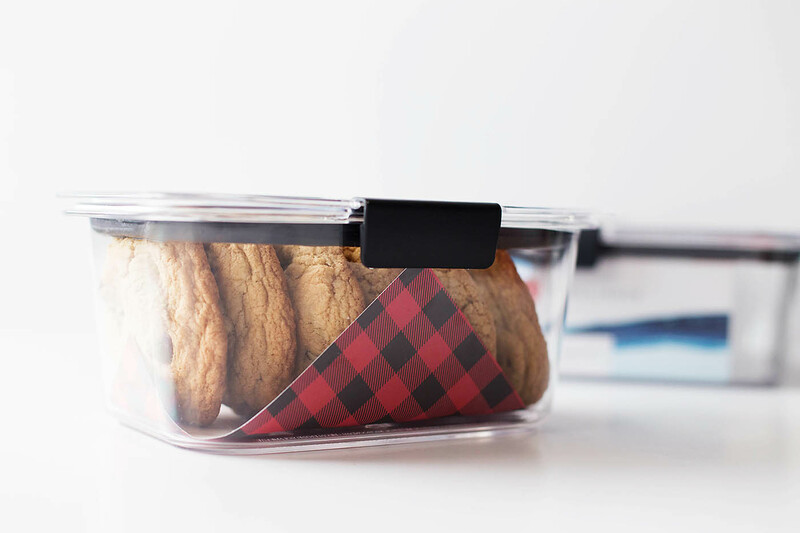 And I’m loving the black detailing on the food storage container! Aren’t they so pretty?! Love how simple they are with the black (instead of crazy color) detailing! This looks delish! I make something similar I need to try it with gluten free noodles.